Whether you’re a relatively new car owner or have been for a long time, there’s a good chance professional auto detailing is a mystery. In fact, you might be wondering “What exactly is car detailing?” and “Why is it so expensive?”. Car detailing requires deep technical expertise, as well as special equipment and supplies. Luckily, all that adds up to potentially priceless benefits for your vehicle. Ready to understand the process? As opposed to a car wash that only focuses on the look of your car on a surface level, car detailing refers to services that actively work to extend your vehicle’s overall quality and lifespan. These services aren’t limited to strictly interior or exterior, but rather any aspect beyond a standard cleaning. Ultimately, the car detailing process breaks down into a four-step process: remove, correct, protect, and condition. 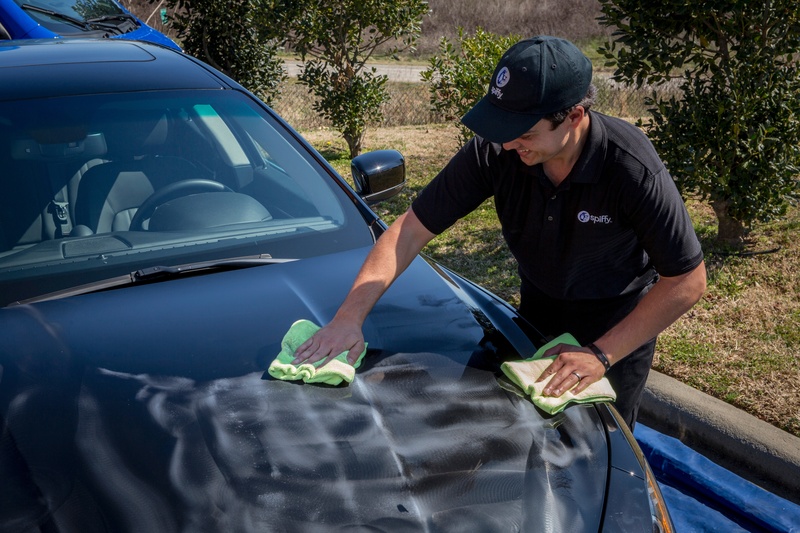 After your car has been washed clean of any dirt and hand-dried with a microfiber towel, it’s important to remove any surface contaminants that remain on the paint. These substances, such as sap and tar, can cling to the clear coat layer of your car’s paint and damage it, which can expose the colored base coat to the elements if not treated. Typically, a clay bar is used to remove contaminants, which can restore the feel of the clear coat to an ideal smoothness. Depending on the specific substance, other solvents are used to rid them from your car’s exterior. For example, hard water from sprinklers can leave a mineral residue on your paint that requires a low pH solution to be removed. More often than not, scratches and swirls also get in the way of having the shine of a truly clean clear coat. 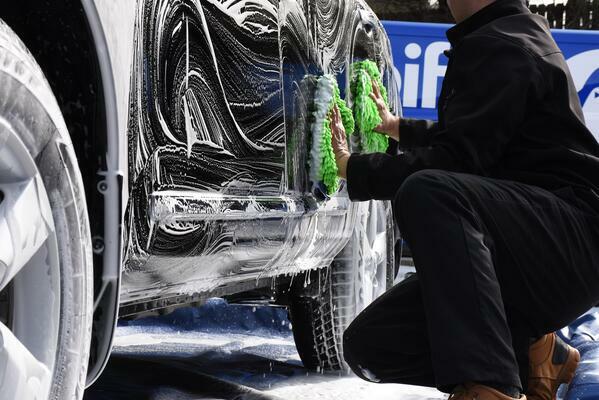 These pesky imperfections originate from improper use of buffers, as well as express car washes, and can be frustrating as a car owner. Proper detailing can make them a worry of the past. With paint polish and random orbital polisher, professional technicians can remove problem areas and restore that perfect glossy look of your vehicle to the factory standard. Once your car has been cleaned and polished, it’s important to follow up with the right level of clear coat protection. The most common solution for drivers to choose is a carnauba-based wax, which lasts for about three months. An intermediate option is paint sealant, which can last 6-12 months and fill in most imperfections with new silicones. The best choice as an owner, however, is a nano ceramic polymer coating, like Simoniz Diamond Plate®, which lasts for two years by forming a thick sacrificial layer on top of the clear coat to protect it from environmental elements. After the exterior of your vehicle is meticulously protected, it’s important to turn attention to the interior. Removing embedded pet hair and extracting water stains are crucial for drivers with fabric seat materials. If you have leather upholstery, ensuring that it’s properly cleaned and conditioned is a lot like putting lotion on your skin. They both offer the advantage of protection, while also helping to prevent cracking or other sorts of damage in the future. And, of course, there are products for removing stains and other materials from your carpets, such as degreasers and enzyme cleaners. By going through each necessary step of a proper car detail, your vehicle is able to revel in a vast number of benefits. Not only is it more appealing to look at, but the added layers of protection work to increase the overall value - regardless of if you plan on reselling in the future. At the end of the ideal car detailing appointment, you should rest assured in the quality and performance of your vehicle above all else. When you get right down to it, a clean car always feels like a better ride than a dirty one. Spiffy car detailing services require the use of multiple specialized tools and chemicals, which in turn demand the expertise of our highly-trained, professional technicians. 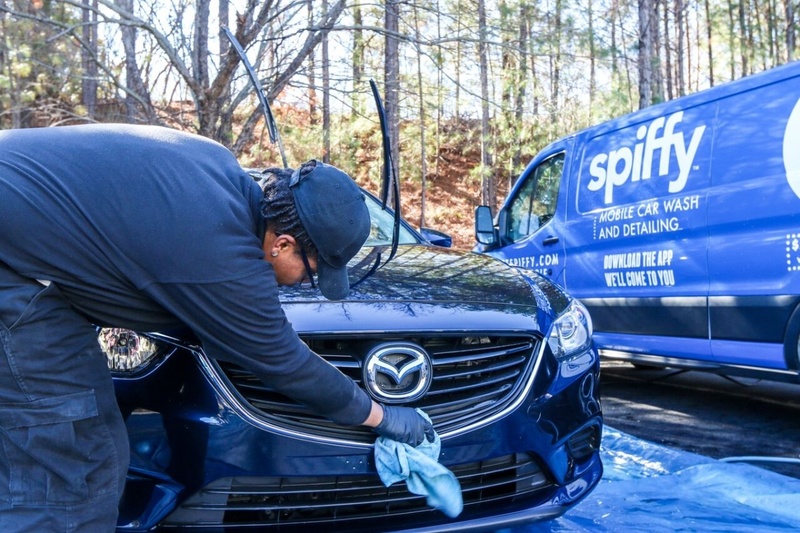 This allows us to ensure that your detail is up to the #SpiffyClean standard, from the roof down to the tire shine. We’re excited to share our available services to make your home or workplace the best location for your next car wash, detail, or oil change. You don’t want to look back on your car’s lifespan and regret not having it fully detailed, so be sure to dive into what we can offer now! 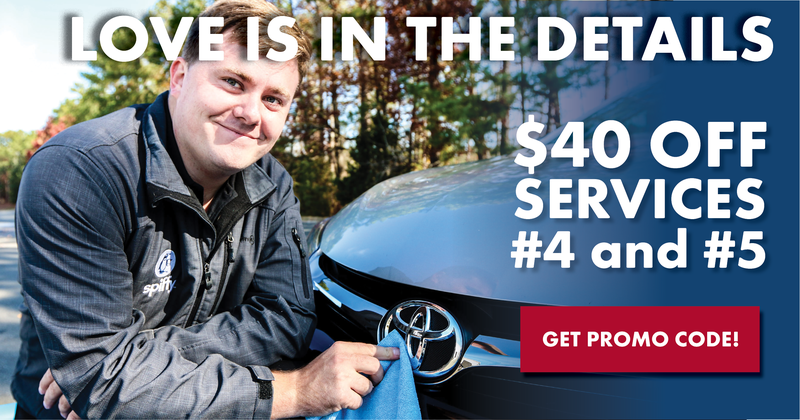 Spiffy + your car is a match made in heaven, and we’re excited to prove it with $40 off car detailing all month long! Click below to get your promo code today!